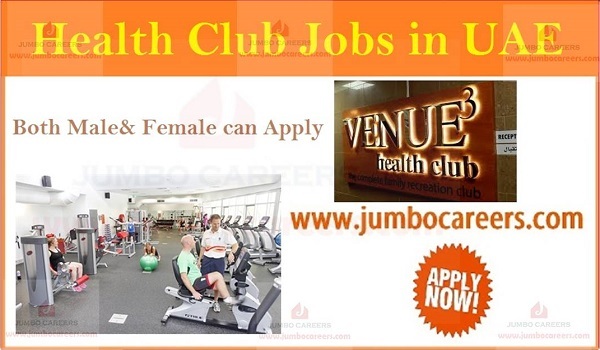 Leading Gymnesium and health club in UAE: Venue 3 Health Club hiring staff for Dubai and Sharjah. Its free and direct recruitment by the company. * Swimming Trainer preferable Indian/Filipino/Sri Lankan nationality. * Senior Sales Executive preferable Indian nationality.